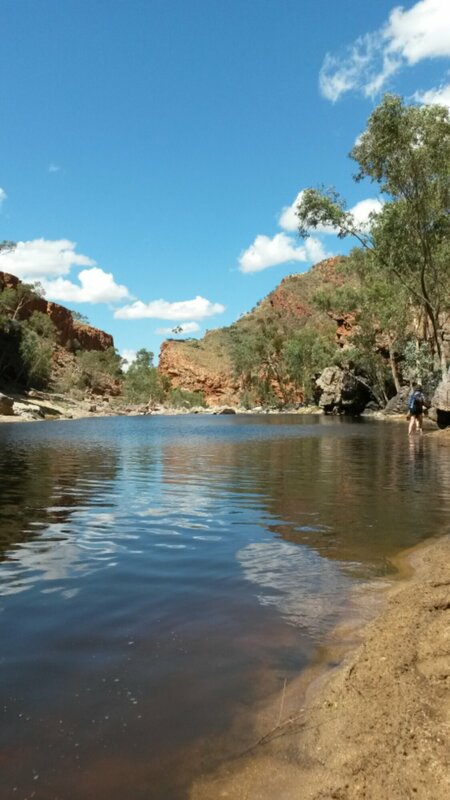 Ormiston Gorge + water = fun! 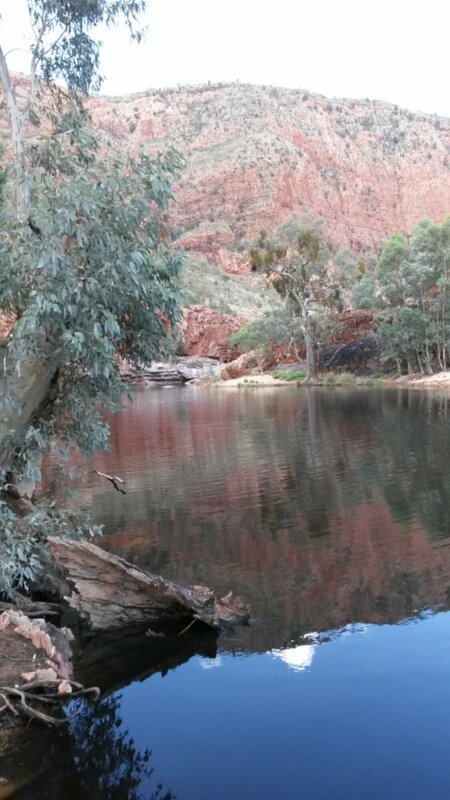 This long weekend we headed out to Ormiston Gorge (1.5 west of Alice) for a nice little summer camping trip. When we left it was a chilly 37 degrees so I was expecting a weekend of unpleasantly hot weather. As it turned out the cloud came out, the water level was seriously high and everything was awesome aside from some vicious and evil mosquitos. The past year or so the water level at Ormiston has remained pretty low with only a few pools of water that aren’t connected. 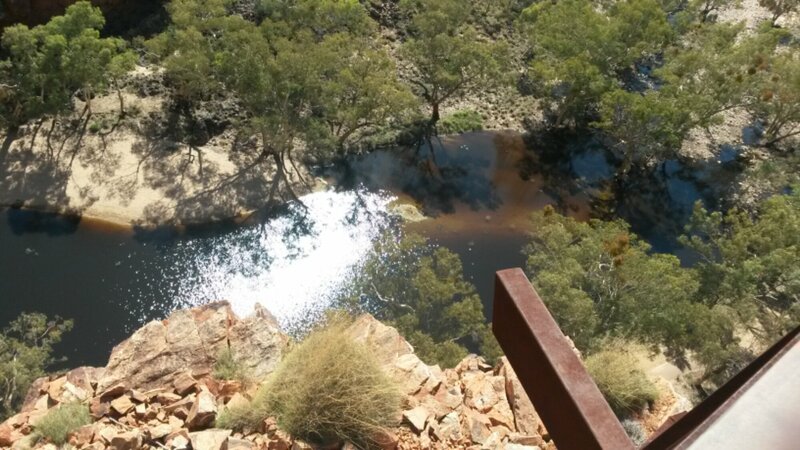 I’d certainly never seen a stream flowing the whole length of the gorge. 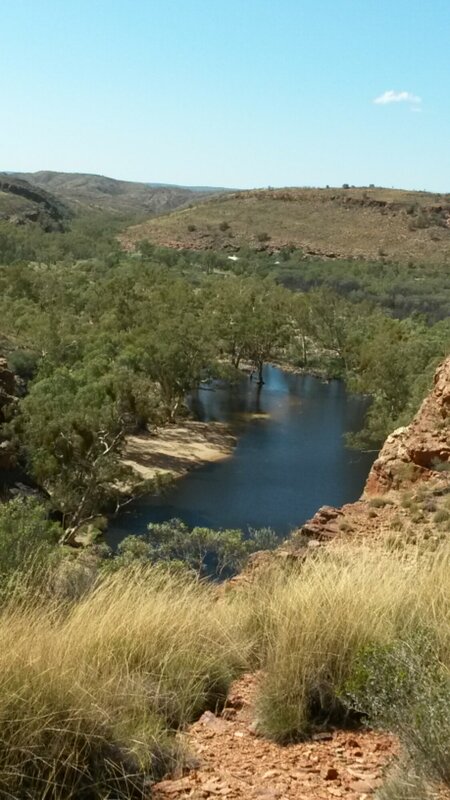 You can imagine our surprise when instead of being able to walk the length of the gorge we were forced to swim every where!